Best for: People Who Want to Make Money Online But Are Also Willing to Do the Work. Summary: There are legitimate ways to make even BIG money online by posting links online. However, it is also good to point out that making big money online like +$10,000/month always requires lots of work and effort. Companies that promise you lots of money fast without working are most likely scams. Link Posting can actually refer to a few different things. Recently, most link posting jobs online have been synonym to many online scams but it may also refer to legitimate ways to make money online. However, that sounds too simple so you probably would like to know more details. So, let me explain you 2 ways that people make money online by posting links. Companies and online businesses used this strategies especially in the past but it's still now legit nowadays if done correctly. A company asks you to put a link to their own website from some other website. ​You add a link and they pay you for adding that link. Why are some companies willing to pay for just a single link to their website? How do they benefit from doing it? The reason is that Google "likes" more the websites that have lots of links pointing on them. When they see that many other sites are linking to that site, they think the site must be somehow important and valuable. For example, authority sites like Wikipedia have millions of links pointing towards them. In the past, this strategy worked even more because Google put more value on backlinks. However, Google noticed that some companies are just trying to play the system and get their spammy websites on top of Google. As a result, many online businesses were wiped out because Google changed their ranking factors and nowadays backlinks are not so big factor as they used to be in the past. Backlinks still play some role on Google rankings but nothing compared to what it used to be. The best strategy is to build genuine backlinks from relevant websites, provide valuable content and not to try to cheat the system. That is a long-term strategy to get higher rankings on Google and make more money online. Affiliate marketing is actually a great way to make money online and I am using it also myself to make a living online. Actually, affiliate marketing has given me a freedom to travel around the world while making money online. I don't say this to boast, of course, but to show you what kind of potential making money online with affiliate marketing really has. Even though affiliate marketing provides me nowadays a freedom to travel around the world while earning money online, I want to point out that it's NOT a "get-rich-quick" system or anything similar. It's quite obvious that making money with affiliate marketing is a much better choice than a regular 9-5 job when you consider the reasons that I show above. However, "Link Posting Online" makes it probably sound a bit simpler than it really is. 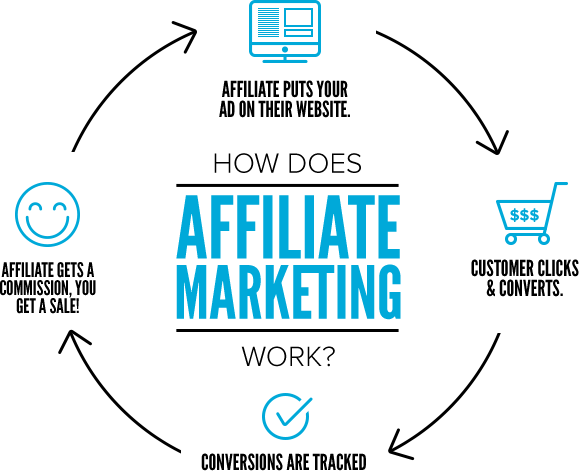 It's true that the concept of affiliate marketing is simple but you still need to put in the effort to make big money with it. I've explained more in detail how you can make money with affiliate marketing in my Ultimate Guide To Make Money Online - 2018. I highly recommend reading it if you are interested in earning real money online instead of some shady "link posting jobs" that would promise you $379 in a day without much work. "Earn $375 in a day EASILY!" 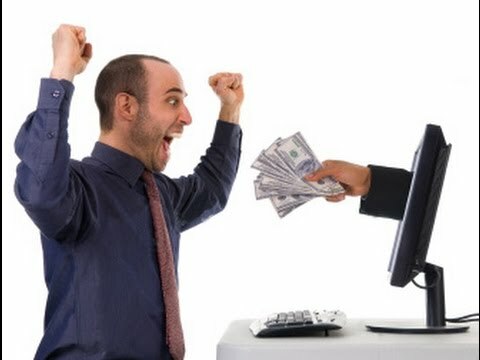 "Make BIG money just by posting Links online!" "A Huge company needs people to post links. Salary $57/hour, apply now!" I will explain further more details on how you can spot Link Posting Job scams from the real ones. You can continue reading, or you can head to my Comprehensive Guide how to make money online with Link Posting/Affiliate Marketing. Some scammy link posting jobs promise that you would be make money just by posting links online. However, that's not usually true. If you just post your links all over the Internet, you will get banned from forums and people would see you as a spammer. That's not a good strategy. I'd rather recommend learning the best strategies to make money with affiliate marketing/link posting that can generate you a sustainable income in the long term. Do Legitimate Link Posting Jobs Still Exist? The cold truth is that the majority of the Link Posting Job Offers that I have seen online have been scams. My eye has been pretty trained to spot the difference between a legitimate way to make money online and what is not. I have researched more than 400 online business/online job opportunities and published comprehensive reviews of all of them. Many link posting job offers try to lure innocent people by offering lots of money easily. Well, at least they say that they offer lots of money easily but the reality is that they are often just trying to rip people off. Often they try to sell you a Link Posting Job course or program that costs anything from $7 to all the way up to $1,000's. What kind of job is that you need to pay for it? I thought that they are going to pay YOU. If a company is requiring you to buy some course, program or system to apply to their link posting job, that's usually a BIG RED FLAG! I recommend that you don't buy any such resources before asking from an expert or reading lots of reliable reviews. If you are wondering whether or not some specific link posting job is a scam or an honest opportunity, you can always ask me in the comments below and I will be happy to help you out! Legitimate link posting jobs are related to backlinking or affiliate marketing like I explained before. For example, some companies have paid me money to insert 1-2 from my website to their website. Or other companies have paid me for including links under my YouTube videos. This often requires that you already have some sort of audience and people are visiting on your website. Making money with affiliate marketing is possible and your income will usually depend on your efforts and performance. In the other words, the better results you provide, the more money you will make. Usually with affiliate marketing you don't make much money at the beginning but your earnings will grow like a snowball as I teach you in my Ultimate Guide To Make Money Online - 2018. You have a huge income potential in the long term but most likely you will not make much income during the first weeks or months. Posting links is an essential part of creating a successful website or a blog. As you can see, I have many links on this page that help you and other visitors to navigate on my site more easily. I guess you also know one of the most famous sites on the world, Wikipedia? Their website is full of links to help their visitors. Even big search engines like Google, Bing and Yahoo see linking as a positive thing and it helps websites to rank higher on Google. How to Spot Link Posting Scams? I want that you would any fall into any kinds of online scams. That's why I am giving you 5 ways that will help you to spot a link posting scam. If somebody is promising you lots of money fast, you should be careful. There sometimes great opportunities in life that seem almost unbelievable. For example, I have achieved some of my dreams with affiliate marketing that I never thought would be possible. That being said, my experience shows that +90% of the time when somebody promises you lots of money fast, it's just a scam. If you want to make BIG money fast, you either need to work like an animal +100 hours a week or invest lots of money to get started. However, investing money often involves risk especially if there's a possibility to make big money. I made once +$50,000 profits in 2 months by investing in cryptocurrencies but later I also lost $10,000's in a couple of months. So, if there's a possibility to make BIG money FAST, there's often a possibility lose money as well. I am making a nice income online and I also know many other successful online entrepreneurs. However, ALL successful people have needed to learn new skills and work hard. Easy road does not exist if you want to make big money. I've noticed that making big money requires making tough decisions that may feel comfortable in a moment. But later on, you will get a reward. Link Posting Jobs that are scams promise you money easily which is not true. Be careful if somebody promises to pay you lots of money fast without much work. I already mentioned above that some Link Posting Job Offers require you to buy some courses or other products. Usually, that's a red flag and you should just stay away from them. If you are reading reviews of such products, you need to keep in mind that some of the reviewers may be affiliated with the company and they get paid for endorsing the product. That's why you should be careful when reading such reviews. "I am just a single stay-at-home mum and I was desperately trying to look for a way to make some money. Then I found an opportunity that makes me $9,335/month. You can do it too!" Then they have an image taken from a photo bank like Shutterstock that finally proves that it's a fake system. I'm not saying that all Stay-At-Home moms who are making big money online are scams. For example, a friend from Wealthy Affiliate, Grace, just made $4,931 online in August even though she's a stay-at-home mum. But as she tells in her post, it required lots of work before that became possible. Soon she'll most likely reach a +$10,000/month income but we all need to remember how much work she has put into reaching that goal. It's possible to you as well but you need to be willing to put in the work like Grace. I know that she's a very hard-working lady. If you have friends that are experienced entrepreneurs, you can always ask them before joining. Or you can ask me anytime in the comments below, through my YouTube channel or by email. Making money online is very real and I personally believe it's possible to anyone. I have seen so many people changing their lives for the better once they learned the skills to make money online. I have also myself been able to turn my life around once I learned how to generate a life-changing income online. But as I always use to say, there is NOT a "push button" to riches. I always warn people of falling into "get-rich-quick" schemes because they just don't work. Often times those systems are just created to rip off innocent people. If you want to make BIG money online, you need to put in lots of efforts. Once you are willing to put in the effort and take actions, ANYTHING is possible. Some people want to make just a side-income online while studying while others want to create a successful business that generates +$10,000/month online. Everything is possible when you take action and follow the proven steps to make money. I created you a comprehensive +8,700-word guide to make money online that I highly recommend reading. I have experience of helping +3,000 individuals to get started making money online and I would love to help YOU as well. When I started my own "make money online" journey, I was still a 22-year-old University student. Later on I also graduated and got my degree. However, I don't need my degree anymore because I am able to make more money online than I could just dream of in a regular 9-5 job. In addition, I have way more freedom than in a typical job. If you want to achieve the same, click the button below to read my Ultimate Make Money Online Guide 2018 that has already helped many people to make real money online. In order to help you to get started making money online, I also created for you a Link Posting Guide video. In the video, I teach you the most important principles and steps that you need to know to make money online by link posting. I show you the simple steps how you can start making money online by link posting as well. ​What kind of experiences do you have with link Posting Jobs? Have you ever been scammed? How did it happen? Do you want to learn to make money online legitimately? 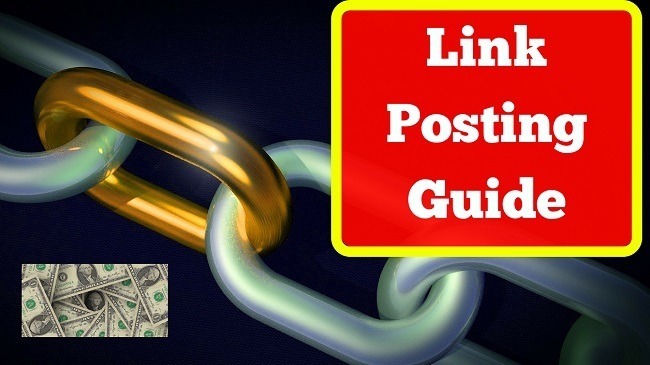 Read My Ultimate Guide to Make Money Online Legitimately with Link Posting! Legendary Marketer vs Wealthy Affiliate: Which One Is the Best?